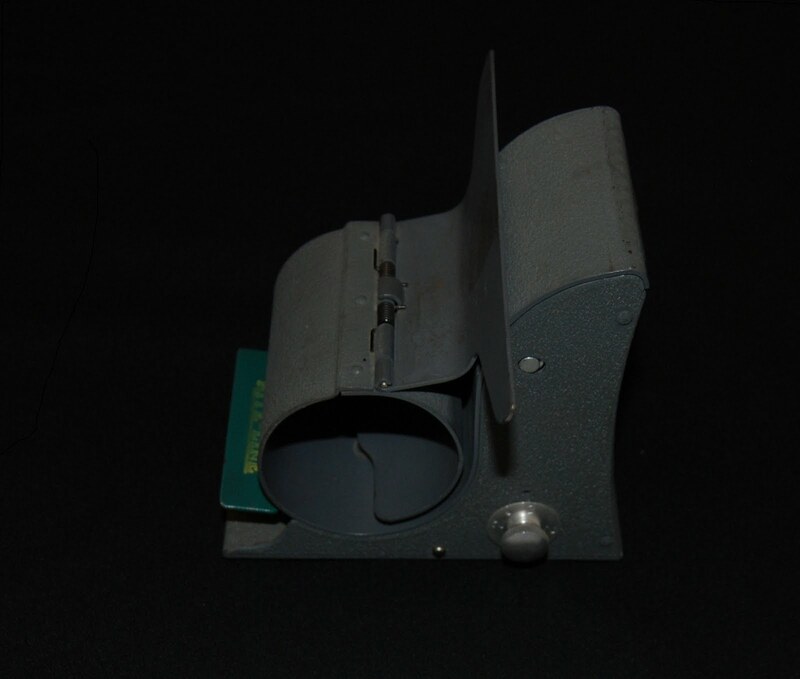 This item belonged to Rita Trombly Manning when she worked for the FBI from the 1940s to 1970s. We know Ms. Trombly worked as a stenographer, someone who takes notes in shorthand, in various departments, including the Records and Communications Division and the Crime Records Division. 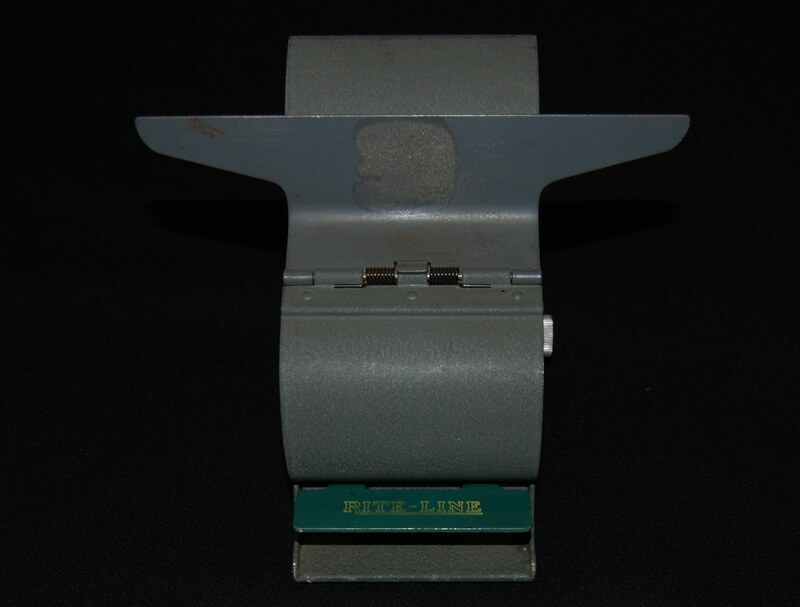 Office supply: Rite-Line Copy Holder. 2011.12.6 Collection of the National Law Enforcement Museum, Washington, D.C.
What is the primary purpose of this device? How does this object work with a piece of paper? 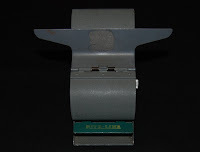 What year was this item made and in what years was it used? Was this an everyday office supply? Was this a common office supply for law enforcement offices? Last night, the National Law Enforcement Museum co-hosted the Washington, DC premiere of Clint Eastwood's film, J. Edgar at the Newseum. Mr. Eastwood, Honorary Chairman of the National Law Enforcement Museum and the National Law Enforcement Officers Memorial Fund gathered alongside special guests and dignitaries to promote J. Edgar. The film examines the compelling life of the first FBI Director, J. Edgar Hoover, portrayed by actor Leonardo DiCaprio. “Law enforcement is a very underrated profession — so many have given so much. The dangers are always there and we’re thankful for the people who keep us safe. Embracing the idea of shooting a film about J. Edgar Hoover was quite an interesting project because he was such an interesting man and there’s always been a lot of discussion around him,” Mr. Eastwood said in his remarks before the premiere of the film. In 2010, the J. Edgar Hoover Foundation donated over 5,000 items from Director Hoover's estate, including office desk, chair and telephone, presentation items, awards, photographs, correspondence, books, recordings of his speeches, and numerous other items that relate to his personal and professional life, including his tenure as director of the FBI from 1924 to 1972. The National Law Enforcement Museum is the official repository of Mr. Hoover’s collection of personal effects, and select artifacts from the extensive collection were on display during the movie premiere. Guests were given a first-hand glimpse of such items as Director Hoover’s desk and desk accessories; original photographs from his childhood, as well as his years as FBI Director; and handwritten notes from his days as a law student at George Washington University. The National Law Enforcement Museum will include the J. Edgar Hoover Research Center, made possible through a generous donation from the J. Edgar Hoover Foundation. “Many Americans probably do not know that it was Mr. Hoover who required FBI agents to advise criminal suspects of their constitutional rights prior to arrest —15 years before the Supreme Court required Miranda warnings. He also instituted many other innovations including a centralized fingerprint file, forensics laboratories, a national compilation of crime statistics, and the FBI National Academy to increase effectiveness of state and local law enforcement,” Mr. Floyd stated as he addressed the audience before the film.